A new report from the professional body for HR managers confirms the experience of Unite reps in housing associations; stress is rising due to poor management. Unite reps will want to publicise the findings amongst members and raise matters of concern including workload and bullying management styles with management. The report below is cross posted from Unite's website. Let us know about your experience of stress at work and any intiatives to fight back. Stress at work is on the rise, with more and more companies reporting an increase in stress-related absences, according to a new survey. Two-fifths of businesses said they have recorded a rise in days lost to stress, mostly driven by poor management, according to the latest Chartered Institute of Personnel and Development (CIPD) poll. The survey, which polled more than 1,000 HR and people development professionals, found that 62 per cent said heavy workloads, attributable to poor management, were the number one reason for days lost to stress at work. The second biggest factor driving the rise in stress-related absences was management styles, a problem identified by 43 per cent of those surveyed, up from 32 per cent last year. The CIPD highlighted the lack of management training, with only 50 per cent of managers having received training to help their employees better manage stress or spot the signs of stress early on. Two worrying trends linked to stress at work identified by the survey included a rise in ‘presenteeism’ – or coming in to work despite being ill – and ‘leavism’, or continuing to work while on holiday. “Managers should be helping to alleviate stress among their staff, not contributing to it,” said CIPD employment relations adviser Rachell Suff. “But too many managers are being set up to fail because they haven’t received adequate training, despite them often being the first person employees will turn to when they have a problem. “Rates of presenteeism and leaveism, which are both linked to stress, remain stubbornly high,” she added. “Employers have a responsibility to tackle these bad habits. They must also realise that staff are not going to perform at their best if they are working when ill or using up holiday to work rather than recharge. The latest CIPD research on stress at work was highlighted on Tuesday morning (April 9) on BBC Breakfast, with viewers anonymously sharing their experiences of untenable workloads and poor management. Another anonymous viewer described how they had a “breakdown” and ended up in a “depressive coma”. Other viewers reported positive experiences when their managers and other colleagues had been trained in mental health first aid – training which Unite has worked to promote in workplaces across the UK. UniteLive highlighted earlier this year one workplace where mental health has been placed at the top of the agenda, thanks to the efforts of Unite reps and members. Lee Wiggets-Clinton, a Unite convenor at Sandwell Metropolitan Borough Council, made mental health training a priority when he noticed two years ago that in sickness meetings with members, time and again mental health issues such as stress were among the biggest reasons people had missed work. He approached the council leader and councillors about ways that they can take action. Lee and the Unite West Midlands 7015 branch lobbied for their employer to sign up to Time to Change’s Employer Pledge, which commits employers to specific mental health goals. Now, staff mental health is at the forefront of the Council’s priorities, with all stewards receiving mental health awareness training and some going the extra mile to become mental health first aiders. 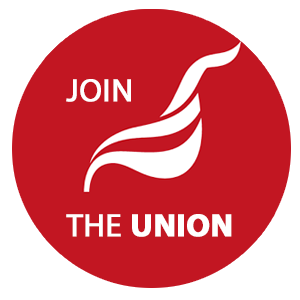 As a result of Lee and his branch’s efforts, not only have the number of sickness days fallen but Unite membership has increased as well. In this way, mental health advocacy has become an important recruitment tool. Lee believes it’s vital that trade unions take a lead on mental health the way Unite has done. While Unite helps facilitate mental health training in the workplace, the union is also backing the #WheresYourHeadAt campaign, which is aiming to change the Health & Safety at Work Act to so that workplaces must have mental health first aiders, similar to the current requirement for ‘physical’ first aiders. The CIPD’s latest research published this week mirrors an earlier study last year from the Health and Safety Executive (HSE) which also found that the rise in work-related stress absences was being fuelled by poor management. Commenting on the HSE’s findings, Unite assistant general secretary Steve Turner said it was “not an exaggeration” to say that workplace stress had become an “epidemic”. “The union is also always on hand to stand up to bosses and employers who are treating their staff unjustly or putting their mental or physical wellbeing at risk for whatever reason,” Turner said. Turner said that trade unions are vital to bringing about that change, “but action must also come from the government and the HSE to ensure that employers are held to higher standards when it comes to protecting the mental health of their staff”.